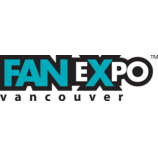 Everyone is a fan of something, and FAN EXPO Vancouver is a place to celebrate all things pop culture. Get an autograph or a photo with your favourite guest and get the inside scoop about your favorite movies & TV shows at our celebrity panels! Watch professional comic artists battle it out in our popular Sketch Duels, learn from our “How To” workshops, and take photos with your favourite costumed characters! It’s also a great place to buy a unique gift (or treat yourself!) with over 250,000 square feet of shopping madness.